Diclofenac NSAIDS and Spanish Vultures..
Back in 2008 on the Iberia Nature forum we started a topic about the use of Diclofenac in Asia and, as the drug was about to be used in Europe, it stayed in the Spain sections rather than going in the “other places” boards… And it seems with good reason. If you fancy trawling through the wealth of information about this subject then the main topic is here. As the deadline for a final decision by the EU Commission on banning veterinary diclofenac approaches, vultures really need you. Veterinary diclofenac is extremely toxic to vultures, and has been banned from the Indian subcontinent after causing a 95-99% decline of several vulture species there. Incredibly, it has been approved for use on livestock in Italy and Spain. The Vulture Conservation Foundation (VCF) has been leading a campaign, together with other organisations, to ban this drug in Europe too: given the existence of a non-toxic alternative (Meloxicam), common sense suggests a precautionary approach should be taken. Sometimes it is hard to know what to write. I want to write about positive things and I want to show people what an amazing country I have chosen to make my home. I have many friends that work hard to protect the stunning place that is called Iberia. However, sometimes I am left speechless with a writers block that I fear will never become unstuck… Even though the press release from The Committee Against Bird Slaughter is (CABS) is over a year old I have spoken to a few people living in the Valencia area and they tell me that the practice of bird trapping with glue continues as normal… My mind will become unstuck and soon I will write again. 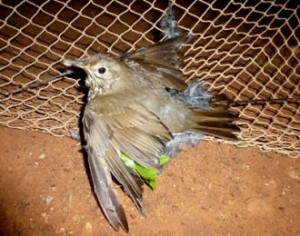 the birds caught in these awful traps I am afraid have a different fate waiting for them. For the first time ever CABS volunteers have managed to film the massacre with low-light cameras. “The material demonstrates that thousands of wild birds are cruelly killed and that numerous protected and endangered species are among the victims” states CABS President Heinz Schwarze. The video shows Thrushes and Blackcaps loudly and in panic fighting for their lives among the corpses of the conspecifics. The website about this subject can be found here and you will see a link at the bottom of that page to sign a letter to be sent to the authorities… Do it now please? 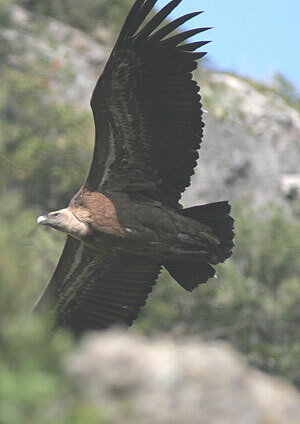 Catalan Bonelli’s eagles are critically endangered. I just came across this fairly amazing website with very much up to date information and research into Western Europes Bonelli’s Eagle populations. The latest studies are showing that the population in Northern Spain is at greatest risk. The studies, based long-term monitoring of Bonelli’s Eagle populations in the Iberian Peninsula have revealed demographic relationships among different populations and has provided an insight into population dynamics in Western Europe. 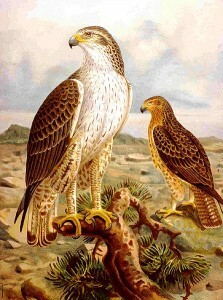 The Bonelli’s Eagle (Aquila fasciata) is one of the most typical -and most endangered – raptors of the Mediterranean region and the Conservation Biology Group of the University of Barcelona (UB) has been researching this species Since 1980 perhaps the most amazing thing of all is the website is in English and all of the studies are freely available to read. Go to the website – Conservation Biology Group of the University of Barcelona here. And of course Join in on the subject over at the Iberianature forum.